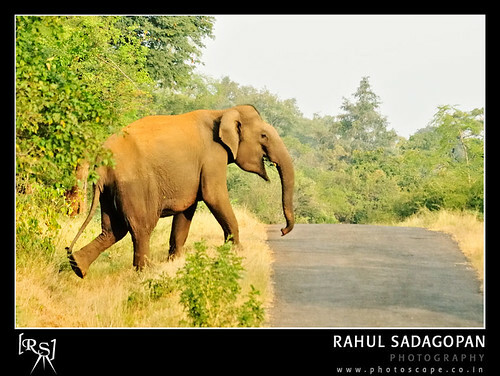 How do you see the below picture- As "The elephant crossing the road" or as "The road crossing the elephant's path"? One of the most important aspects of wildlife conservation and reducing man animal conflicts is the perception. Its how we see the problem that half solves it. Why live in the forest and then complain that the elephants are damaging crops or the carnivores are stealing pets? In my opinion, the solutions are not electric fences, country guns, trenches or traps, it is giving teh animals their space we staying off that space. This what wildlife biologists and conservationists are trying to achieve in the western ghats. IAWS is one such team that is working towards wildlife conservation. If you'd like to help us to help wildlife, then here's where you can learn more about us. All Donations are eligible for IT exemption under Section 80G of the Indian Income Tax act & additionally you also get an exclusive guided tour in these forests and get to see some of the finest wildlife in our country.